Emissions tests are conducted on vehicles in order to check for the pollutant emissions that may be produced by the car’s engine. Typically, there are specific standards that the vehicle has to pass in order to be cleared by the test. That being said, there will be times when engines fail the test. Let’s take a look at some of them as well as how the test works so that we can give you the best advice for things to check before you take the test. How Does the Emissions Test Equipment Work? 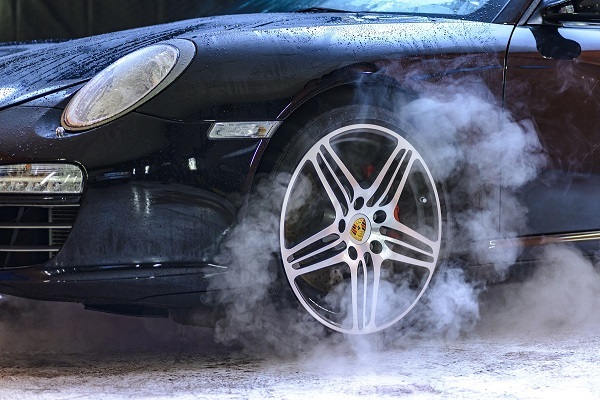 Typically, the equipment that is used for emission testing can vary. Only the overall duty and performance remain the same. In smog check programs, there typically are 3 different types of inspections. The first one is called the ASM (Acceleration Simulation). This one checks for dangerous gases such as carbon dioxide. The OBD (On-Board Diagnostics) test is actually the computer that is located in the engine, and it monitors things like the status and performance of the emission control equipment and the ignition system. The Two Speed Idle (TSI) is what is used in order to check vehicles that are from 1995 and before for emission gases. Different types of analyzers for gas are used in various emissions tests in order to measure the amount of emission gases being emitted by a vehicle. One of these is called the Four Gas Analyzer. This one monitors all four of the gases that the EPA requires for emission standards. These gases include oxygen, carbon dioxide, hydrocarbons, and carbon monoxide. This analyzer is stuck into the opening of the tail pipe so that it can monitor these gas emissions. The analyzer uses what is known as a sampling probe that actually tests a small part of the gases released as exhaust. Then you have the 5-gas analyzer. This one measures everything that the four-gas analyzer does as well as measuring nitrogen oxides. Both of these gas analyzers are portable, and they use infrared. The test works by actually taking the temperature of each one of the emission gases it checks for. There are also analyzers for diesel smoke that are used when checking vehicles that run on diesel. This type of analyzer also utilizes an infrared technique, but this one works in conjunction with Bluetooth communication. Some of the diesel analyzers have actually combined a couple of functionalities so that they can measure both smoke and gas. Nearly all of the analyzers for gas have a computer system complete with an LED screen so that they can display all of the data that the test gathers. Hydrocarbons – these are produced when the fuel isn’t burning at all or when it is only being partially burned. When these hydrocarbons get into the atmosphere, they can react with nitrogen oxides and sunlight to create ozone. The ozone that we find at ground level is actually part of what smog is. This is a particularly bad type of air pollution and has been tied to cancer as well as affecting breathing, irritating the eyes, and damaging lungs. Carbon monoxide – This forms when fuel isn’t totally oxidized to the dioxide form. Carbon monoxide is quite toxic to our species and can even stop oxygen from getting to our brains. This is another of the main emissions from vehicles. Nitrogen oxide – This is a compound that is created when nitrogen and oxygen atoms combine at high pressure. In a vehicle engine is a fantastic place for this to happen. This nitrogen oxide is the main reason we have acid rain. It can also create ozone if it binds with other hydrocarbons. Carbon dioxide – This is one of the major greenhouse gases and it contributes to the temperature of the atmosphere increasing. 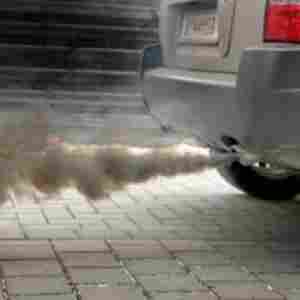 This is an emission that is produced when the engine works perfectly and when all of your fuel is oxidized or burns. 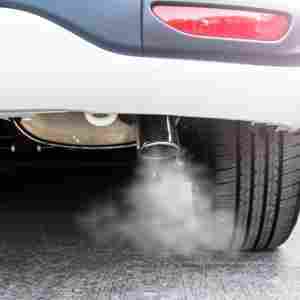 Emissions that come from evaporation – There are quite a few emissions that get to the air when your fuel evaporates. Typically, this is how hydrocarbons get released. The times when this evaporation is at its highest is on days that are really hot. The evaporation occurs when your fuel that is in your gas tank gets heated up and the vapors from the gas are vented in order to reduce pressure. As the engine runs and gets warmed up, it vaporizes a bit of fuel as it runs. Once the car has been driven for a while, the evaporation will continue until the engine actually cools down. When you get more fuel, the vapors get forced out of the tank as the fuel goes in. State inspections – Aside from these federal standards, each state has its own standards. Most of the states require annual emissions checks. Now, we will take a look at some of the reasons vehicles fail emissions tests. Every single vehicle on the road has a fuel meter. This meter focuses on a variety of different specifications, but it also assists with determining the amount of fuel left in your fuel tank. Aside from that, it also determines how that fuel is used, when to inject more fuel for increased speed, as well as movement in general. Today’s vehicles are equipped with computers that control many of the aspects of the gas being utilized. If there is anything wrong with this computer, or the actual fuel injection unit, the emissions can suffer. These are things that will need to be repaired if you want to pass an emissions test. Each vehicle comes with an oxygen sensor. This is the sensor that focuses on your exhaust system and whether or not toxic elements are being emitted. This sensor is very important to your engine. 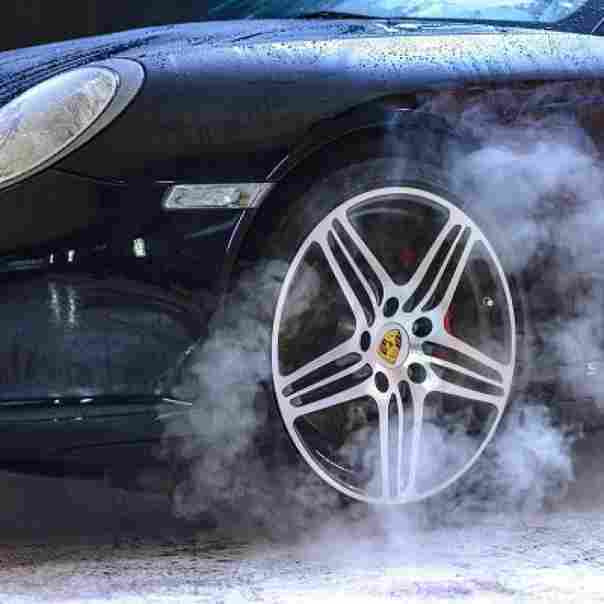 If it is not functioning correctly or is blown, your vehicle can easily overheat. This could lead to a break down and wreak havoc on the overall momentum of the vehicle. High toxicity isn’t a good thing. It can cause the vehicle to lose power immediately and can even cause your acceleration to cease. The ignition system in your vehicle tends to be one of those things you don’t think about, until there is a problem with it. You might go to turn the vehicle on and it can sputter, delay, or fail to turn the engine on completely. Of course, this could also be due to a faulty spark plug or wire, or nearly any tiny element. If you are having this issue, it can cause your vehicle to fail an emission test due to the hydrocarbons being too high. Another one of the systems in a vehicle is the vacuum system. Most of the time, this system works like a charm. That being said, there are also gaskets that are throughout the engine and this system and those gaskets can become leaky after time. If your vacuum system is leaking, you will be able to smell it, and you won’t have a chance of passing the emission test. This won’t cost an exorbitant amount to fix, but it is critical. The odor and the issue shouldn’t be left alone because it can lead to massive damage with other parts. This is most often called a rich fuel mixture issue, and this can contaminate many of the vehicle’s sensors. For example, if you have an issue with the oxygen sensor, you can come to find that the pressure will be too high, and the result can be too much carbon monoxide production. This can then lead to an ignition ratio that is weakened, which can then lead to serious issues when you try to start and run your vehicle. A good mechanic can repair this and ensure that the right levels of carbon monoxide are being produced. Another one of the issues you might run into is one with the air injection. 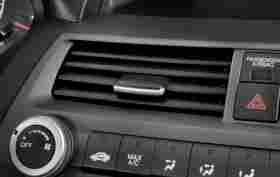 If for some reason, fresh air is forced into the engine, it can cause there to be malfunctions if you can’t control it. The proper levels can change and, if they do, your car could begin to emit gases that can be dangerous to breathe. If you ever smell anything, or if you hear a sort of rush of air while you are driving, you need to get help asap. Mechanics can fix this type of malfunction, including being able to fix the levels of the gases that are emitted, and even when they get emitted. If you have the right balance, you can make sure that you aren’t stranded on the side of the road because of a break down. EVAP is the short form for evaporative emission control system. This system helps with the gas vapors. Basically, it ensures that the vapors from the fuel tank are not getting into your vehicle and the atmosphere. If any of the hoses are leaking, you will be able to detect an odor. 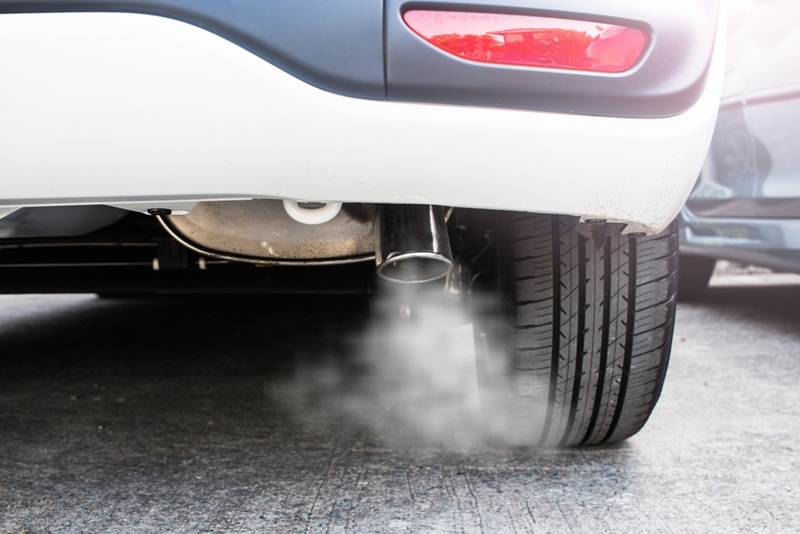 If you notice this odor, you might be breathing toxic gases and your vehicle will be spilling them into the atmosphere. This can be a difficult fix, so it is best to take the car to a mechanic if you ever notice an odor. A leaky exhaust can lead to all kinds of issues with a vehicle and can absolutely lead to am emission test being failed. It will throw off the O2 sensor’s readings and cause the fumes to go through the catalytic converter, changing them into emissions that are less harmful.